I did remove packages as last step in my upgrade, after reinstalling KDE...problem solved, thanks for the tip. After the last update i did the menu-bar is gone. The installation is a sabayon X-kde with limbo, what can i do to fix this? after some search i found the answer, it was the Gst Plugins Soup 0.10.31 that did the trick. 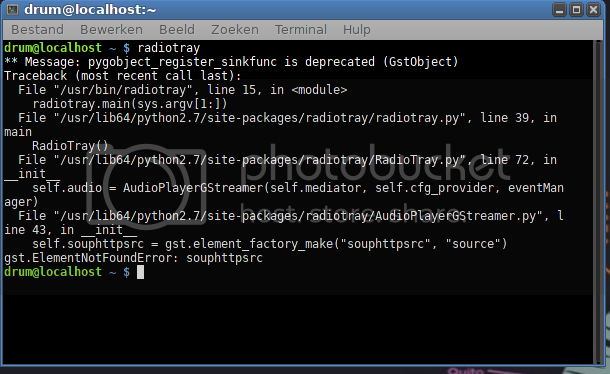 those are installed, but i have not /usr/lib64/gstreamer-0.10/libgstsouphttpsrc.so? Everything work fine except for radiotray, it won't start. Any ideas?